For organizations desiring an improved CCM, or one synchronised to the requirements of the millennial customer, OpenText has emerged as a force to reckon with. The customer evolves with time. At 24 he or she might dream of owning an expensive gadget or going on a solo trip to the Falkland islands, but as they age, their desires will change - child's education, mortgage, pension plans will take prominence over owning an expensive gadget or going on a dream vacation. Change after all is the only constant, and the customer is no different. Also, in time their expectations from organizations or businesses serving them - banks, insurers, retailers, realtors, etc., will also change. And brand loyalty will be severely tested, if these organizations do not capitalize on their customer's hopes and aspirations by sending them relevant/personalized and timely messages - such as a special discount or offer on their birthday or anniversary. A part of the Customer Communication Management strategy for organizations, personalized messages such as these are extremely important in the digital age for providing a delightful customer experience. No longer considered a low hanging fruit, these are an essential ingredient of customer communication and engagement. For organizations desiring an improved CCM, or one synchronised to the requirements of the millennial customer, OpenText has emerged as a force to reckon with. Recommended by analysts across the globe, as one of the most formidable tools, OpenText Customer Communications Management (CCM) solutions have been delivering enriched customer experience to thousands of organizations worldwide. Below is a listing of what makes OpenText a viable option for organizations desiring to step up their customer engagement. Ultra-personalized delivered anytime and anywhere : OpenText Exstream, named a leader in Gartner's Magic Quadrant 2017 for CCM space has proved to be a boon for organizations as it enables them to draft ultra-personalized, compliant, and consistent communications that can be delivered anytime and anywhere, without relying overly on technical assistance. In addition, it is also possible now for organizations to send communications that are perfectly timed to the "window of opportunity." Thereby ensuring that any communication emanating from the organization are relevant to the customer. Bang on. With OpenText one can design responsive digital communication : OpenText Exstream is designed keeping in mind the requirement of the millennial customer for communication that is responsive, i.e., can be delivered regardless of device being used or screen size. With OpenText, organizations can design an omnichannel CCM using existing data and content and transforming what can be best described as regular customer communications into highly-personalized, engaging customer experiences and that too on channels of the customers' preference (print or digital and on mobiles, tablets and other sundry devices). Content authoring and editing : One of the key advantages of OpenText CCM solutions is that it allows non-technical users the facility to create and change both text and graphic communication in templates without having to rely on technical help. Apart from the ability to create personalized content and edit it as and when required, users are also in control when setting to business rules. Tracking and customer engagement analytics : Another important feature is the ability to track customer engagement analytics, which is highly desirable for organizations desiring to create that special "connect" with the customer. With OpenText it is possible to get a well-defined view of delivery, tracking and response information. One to one and batch communication : Also, depending whether the requirement is for personalized one-to-one communication such as the one the businesses could send to the end customer on their birthday or anniversary or a mass production of bills and invoices, with OpenText CCM features for content authoring and interactive editing it is possible to improvise. Lastly, the ability of OpenText to collate data and content from any application, whether it be an ERP software or a CRM tools like Salesforce make it an invincible tool for any organization in the digital age desiring improved customer engagement and experience. With OpenText, they can keep abreast of the customers' expectations and ensure a winning experience every time. Yogesh has over 15 years of experience in managing successful deliveries for multi-channel customer communication management (MCCCM) services with expertise in CRM, billing and business intelligence tools. He has been in the forefront in executing small to large size projects using agile methodology within budget and time ensuring quality standards. Being a certified trainer, he has trained resources in organizations like HCL, RMS, IBM, Broadridge Financial on multiple CCM products and is experienced in driving service improvement programmes as per industry standards. He is known for his capability to deliver complex IT system using Agile, Waterfall and V-Model methodologies within a large diversified team. 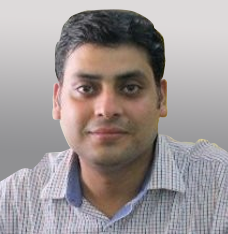 He has an extensive experience in setting-up testing services within the organization, offshore capability centres and managing third party external testing team. He has a wide experience in requirement gathering, design, development, system integration (SIT), user acceptance (UAT) and operational acceptance testing (OAT) support for end-to-end product and service roll-out. He has been managing diversified projects from different domain ranging from BI (Bharti Africa), telecom billing & invoicing (Vodafone Spain, Ireland, and Portugal), CCM Banking, insurance and utility projects.